Stefan Savic set to complete Atletico Madrid move Fiorentina defender Stefan Savic is set to complete his move to La Liga side Atletico Madrid, according to SkySports. 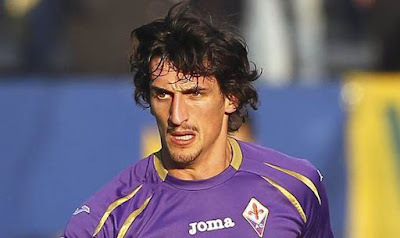 Fiorentina defender Stefan Savic is set to complete his move to La Liga side Atletico Madrid, according to SkySports. The former Manchester City defender is expected to have a medical in the next few days ahead of his move to the La Liga side. The Serie A outfit announced recently that the star is set to join the Spanish side as they revealed that they have reached an agreement for his move. The 24-year-old defender joined the Serie A club in 2012 from Manchester City, he has played more than 100 games for them since his move. Savic told Marca that he is very happy to join the great club, he further admired the boss Diego Simeone that he is one of the best coach in the world. Savic was a regular player for Fiorentina in the past season, he started 28 league games. Meanwhile, Atletico midfielder Mario Suarez is likely to be included in his deal as Fiorentina are keen on his move. Suarez has been in link with a move away from the Spanish side for the past few months. The reports believe that the deal of Suarez would be completed this week.